Steven Butler (Author) Steven is the Sainsbury's Children's Book Award-winning author of The Nothing to See Here Hotel as well as The Diary of Dennis the Menace series and The Wrong Pong series, which was shortlisted for the Roald Dahl Funny Prize. He's also an actor, dancer and trained aerialist as well as a keen observer of trolls and their disgusting habits. His primary school headmaster was the fantastically funny author Jeremy Strong. Steven lives in London. 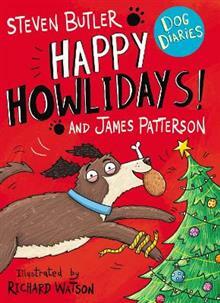 James Patterson (Author) JAMES PATTERSON is one of the best-known and biggest-selling writers of all time. His books have sold in excess of 375 million copies worldwide. He is the author of some of the most popular series of the past two decades - the Alex Cross, Women's Murder Club, Detective Michael Bennett and Private novels - and he has written many other number one bestsellers including romance novels and stand-alone thrillers. James is passionate about encouraging children to read. 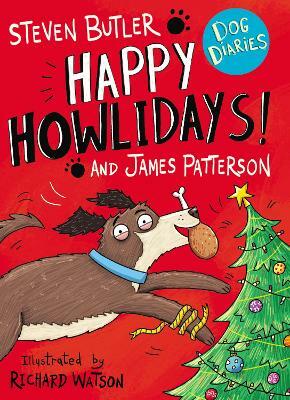 Inspired by his own son who was a reluctant reader, he also writes a range of books for young readers including the Middle School, I Funny, Treasure Hunters, Dog Diaries and Max Einstein series. James has donated millions in grants to independent bookshops and has been the most borrowed author of adult fiction in UK libraries for the past eleven years in a row. He lives in Florida with his wife and son. Richard Watson (Illustrator) Richard Watson was born in 1980 and grew up in a small village in North Lincolnshire. As a young child he was a very avid reader and loved to immerse myself in a book, especially those of Roald Dahl and Quentin Blake, his favourite being a very well read copy of the Big Friendly Giant! Richard and his brother were forever drawing and coming up with our own stories and comics during the school summer holidays and it is something that has always been a part of who he is. He particularly remembers scribbling and doodling various characters over paper which had been brought home by my dad from work, the company name and address printed in red all over one side but it didn't matter! All through school he was interested in art and found that it was something he was naturally good at, this led me on to take the subject at A level in which he received an A grade. He studied illustration at Lincoln University School of Art and Design and achieved a first class BA honours degree upon graduating. He began working as an illustrator soon after leaving University in 2003 having been taken on by the Bright Agency. He uses a range of techniques to produce my artwork mixing traditional drawing and painting with collage and mixed media. He is always trying to experiment and develop my style and am constantly buying and collecting interesting children's books and books on art and illustration as a means of inspiration. He also loves visiting galleries, watching films, and music.